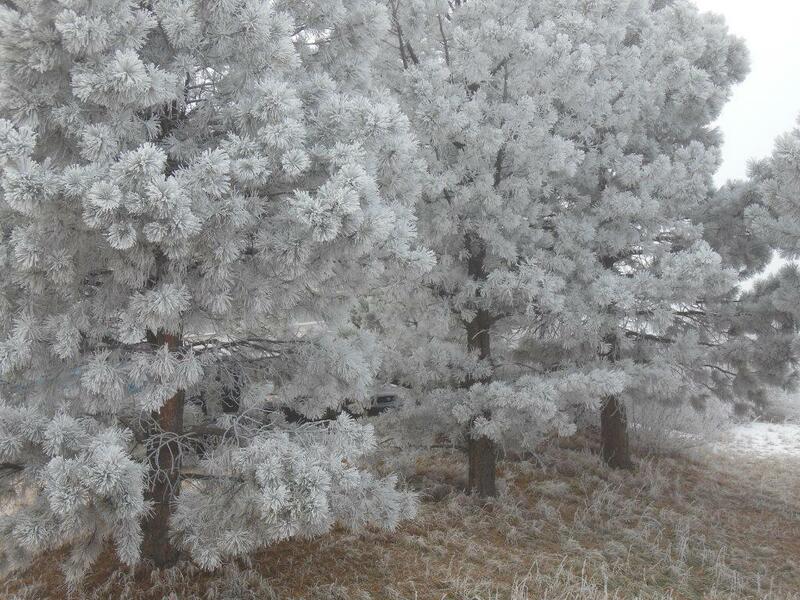 The Friday before Christmas I, Momma, was lucky enough to experience Mother Nature’s “Winter White.” I put my barn chores on hold, grabbed my camera, and spent 30 minutes snapping photos of our ranch covered in hoar frost (a grayish-white crystalline deposit of frozen water vapor formed in clear still weather on vegetation, fences, etc). 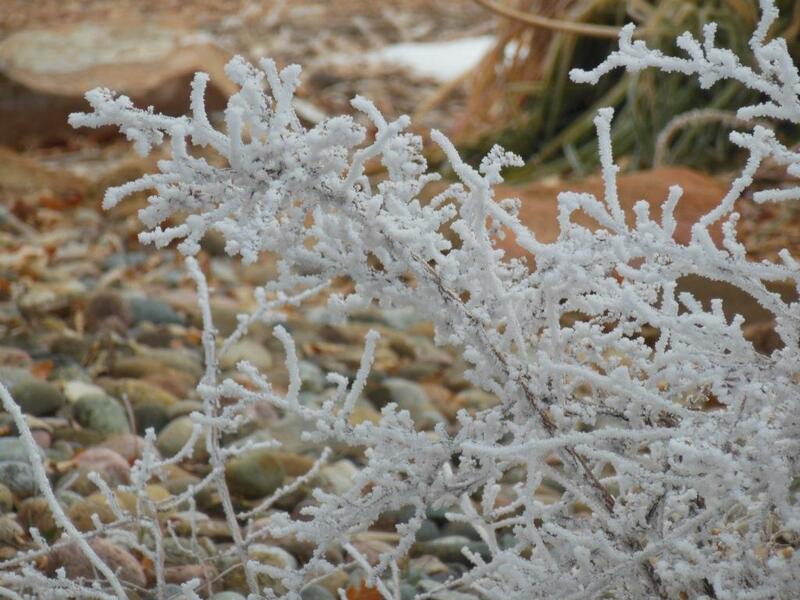 Hoar frost sitting on our Spirea bushes in the front yard. Our baby Ponderosa Pine on the east side of our circle drive. 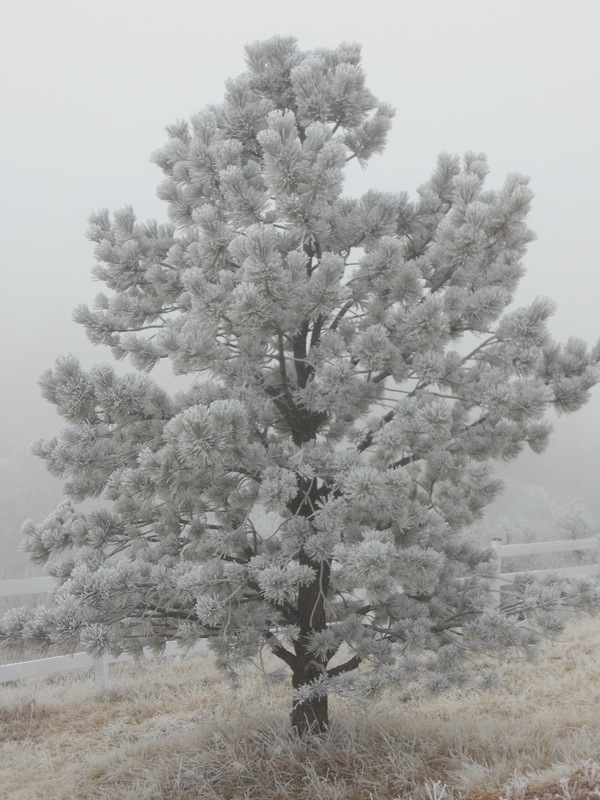 As I walked in the clouds, due to a shroud of fog covering the ranch, the sounds of silence granted me a subtle peace. Our family wishes all of you a very Happy and Peaceful New Year. 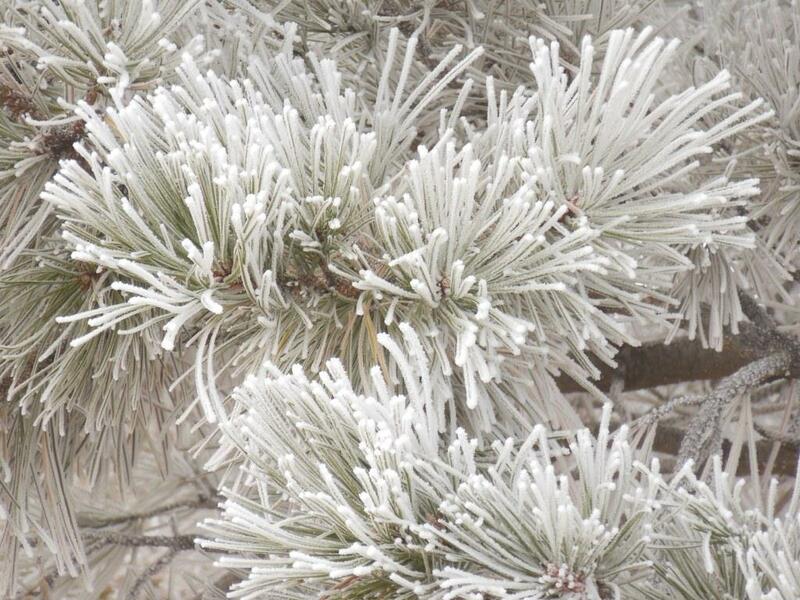 Ponderosa pine needles flocked with frost. This entry was posted in completely unrelated and tagged Frost, holiday, Mother Nature, peace, pine trees, Water vapor, Winter White. Bookmark the permalink. These pictures are wonderful Jan.